The ratings are in and Dr. William Hedden has been named a Patients' Choice Award 5-Year Honoree. This award honors doctors who have been shown to provide excellent patient care by consistently receiving top ratings from their patients. MemoryGel Xtra breast implants are designed with you in mind, offering increased fullness and fullness along with the soft, natural feel that women prefer. Prefilled with a cohesive gel, MemoryGel implants hold safely and uniformly together. Dr. William Hedden was named as a Top Doctor for 2019 following an extensive selection process designed to assist patients by locating outstanding plastic surgeons and other healthcare providers. William J. Hedden, M.D., was voted as one of the best plastic surgeons in Birmingham by the readers of Birmingham Magazine. Readers each year vote for people, places and activities that are the very best of Birmingham. 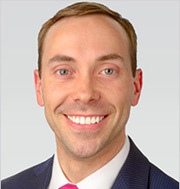 We are excited to welcome plastic surgeon J. Stephen Gunn, M.D. to the Hedden Plastic Surgery family. Dr. Gunn is now seeing patients at our Birmingham, Alabama office for the full range of cosmetic and reconstructive procedures. Based on consumer reviews, the ORBERA Gastric Balloon was named the winner of the RealSelf "Most Worth It" Award for 2016 of all weight loss procedures reviewed. Dr. William Hedden has been named as a Top Doctor on RealSelf.com for his focus on empowering patients with information. This status is awarded to a select group of doctors demonstrating an ongoing commitment to answering consumer questions. Please contact the plastic surgeons at Hedden & Gunn Plastic Surgery if you have any questions about our cosmetic surgery procedures in Birmingham, Alabama.